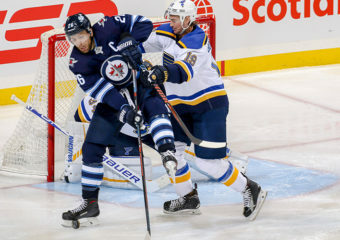 The Winnipeg Jets are back on home ice tonight for Game 5 of their best-of-seven First Round Series against the St. Louis Blues…The Jets beat the Blues 2-1 in overtime… Continue reading "Game Notes: Apr. 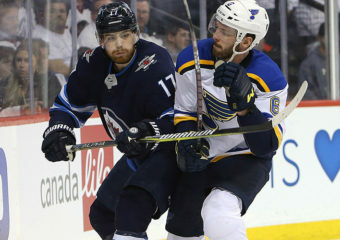 18 vs. St. Louis Blues"
The Winnipeg Jets look to even their best-of-seven first round playoff series tonight in Game 4 against the St. Louis Blues…The Jets doubled up the Blues 6-3 in Game 4… Continue reading "Game Notes: Apr. 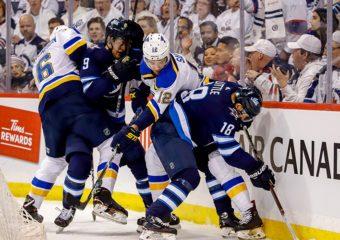 16 at St. Louis Blues"
The Winnipeg Jets are on the road tonight for the first time in the 2019 Stanley Cup Playoffs, as they visit the St. Louis Blues in Game 3 of their… Continue reading "Game Notes: Apr. 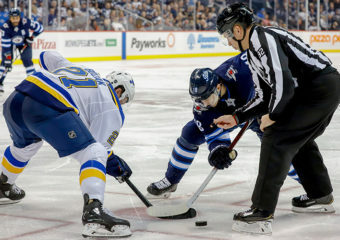 14 at St. Louis Blues"
St. Louis Blues at Winnipeg Jets Friday, April 12 — Bell MTS Place Game Links Line Chart | Game Live | Game Summary | Event Summary | Play-By-PlayFirst Period: Game Summary… Continue reading "In-Game Notes: Apr. 12 vs. St. Louis Blues"
The Winnipeg Jets look to even their first round Stanley Cup Playoffs series tonight against the St. Louis Blues in Game 2 at Bell MTS Place…The Jets lost Game 1… Continue reading "Game Notes: Apr. 12 vs. St. Louis Blues"
St. Louis Blues at Winnipeg Jets Wednesday, April 10 — Bell MTS Place Game Links Line Chart | Game Live | Game Summary | Event Summary | Play-By-PlayFirst Period: Game Summary… Continue reading "In-Game Notes: Apr. 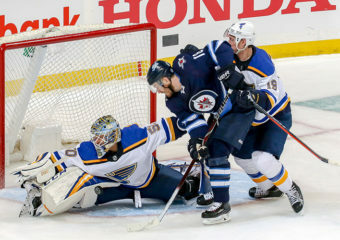 10 vs. St. Louis Blues"
The Winnipeg Jets host the St. Louis Blues tonight in Game 1 of their best-of-seven Stanley Cup Playoffs first round series…The Jets beat the Arizona Coyotes 4-2 on Saturday in… Continue reading "Game Notes: Apr. 10 vs. St. Louis Blues"
The Winnipeg Jets wrap up their 2018-19 regular season schedule tonight when they play the Arizona Coyotes at Gila River Arena…The Jets are 1-1-1 on their four-game season-ending road trip… Continue reading "Game Notes: Apr. 6 at Arizona Coyotes"
The Winnipeg Jets continue their final road trip of the regular season tonight when they meet the Colorado Avalanche at Pepsi Center in Winnipeg’s penultimate game of the regular season…The… Continue reading "Game Notes: Apr. 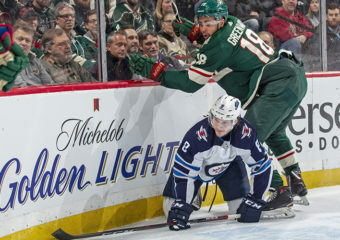 4 at Colorado Avalanche"
The Winnipeg Jets continue their final road trip of the regular season tonight when they meet the Minnesota Wild at Xcel Energy Center…The Jets started the trip by defeating the… Continue reading "Game Notes: Apr. 2 at Minnesota Wild"